COPEN 2006 -2012 1.3 Petrol. 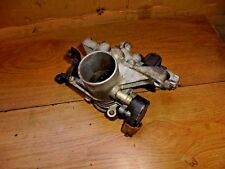 DAIHATSU COPEN Throttle Body. 2008 DAIHATSU COPEN which we are dismantling. The Part imaged and described is th eactual part you will recieve. Doors 2 Door. Style Unknown. 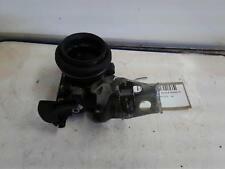 DAIHATSU CHARADE 2006 1.0 12V EJ-VE THROTTLE BODY. NO NUMBERS ON ACTUALLY THE BODY. IF PARTS COMPATIBILITY IS LISTED THEN IT IS ONLY TO BE USED AS A GUIDE. ALL PARTS ARE USED & FULLY TESTED UNLESS OTHERWISE STATED. Make / Model:DAIHATSU SIRION. All body panels are supplied from used vehicles. As such, they may be perfect or they may have minor imperfections, scratches, dents or paint defects. However, it should be of fully serviceable quality. Part numbers are provided to help identify the part and its compatibility. would like you to know that we will do all we can to rectify any problems. NOT HAPPY?. - let us know so we can fix it. We love to hear that you are satisfied with our service and parts. Removed from a 2007 DAIHATSU TERIOS TER1OS 4WD WAGON 5DR 1.5 1495. FOR YEARS: 2006, 2007, 2008, 2009 (2007). We Do Not Cover Any Labour Costs Involved With Fitting Or Removal Of Any Parts. We do not cover labour Costs. Removed from a 2007 DAIHATSU SIRION SE 998. FOR YEARS: 2004, 2005, 2006, 2007, 2008, 2009, 2010 (2007). We Do Not Cover Any Labour Costs Involved With Fitting Or Removal Of Any Parts. Condition: GOOD. throttle Daihatsu TERIOS (J200) (5.06-3.09). The part number in the table above must be identical with the number of your part, otherwise the part will not work properly. SWIFT: INGBPLPW. 30 1050 1070 1000 0022 1597 3690. ING Bank Slaski. Model Sirion. The part number in the table above must be identical with the number of your part, otherwise the part will not work properly. SWIFT: INGBPLPW. 30 1050 1070 1000 0022 1597 3690. ING Bank Slaski. DAIHATSU MOVE (L6, L9) 0.8 throttle. DAIHATSU MOVE (L6, L9) 0.8. - Modell/Typ MOVE (L6, L9) 0,8. All may lead to looking at the pictures, complete vehicles, are probably already broken down. There can be from the manufacturers production changes in the current models. The part number in the table above must be identical with the number of your part, otherwise the part will not work properly. SWIFT: INGBPLPW. 30 1050 1070 1000 0022 1597 3690. ING Bank Slaski. SAVE AS FAVORITE. Being the parts used may have slight signs of wear and tear. For more information and prices. Power: benzina. PHONE 0429 88 88 32. 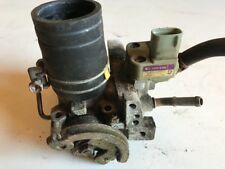 89452-5201 THROTTLE BODY throttle DAIHATSU SIRION < span class = notranslate ' > 1.0 51KW 5drs B/GPL 5 m (2009) PARTS USED. Product range: Fuel system/throttle body/throttle valve. Being the parts used may have slight signs of wear and tear. Model Cuore. The part number in the table above must be identical with the number of your part, otherwise the part will not work properly. SWIFT: INGBPLPW. 30 1050 1070 1000 0022 1597 3690. ING Bank Slaski. Engine capacity: 1300. Type of fuel: Petrol. Year: 2005. Model: Sirion. Butterfly Valve for Daihatsu Sirion M300 04-11 B1060-7L06 100TKM!!! 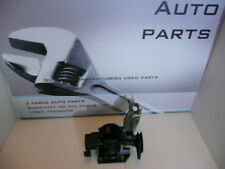 throttle Daihatsu SIRION II (M3) (8.04-2.10). Engine: 1.5 | 1495ccm | 76kW | 3SZ-VE. throttle body for Daihatsu Materia. vehicle: Daihatsu Materia. We can not change the invoice after you've placed an order. VIN: JDAM4025001007059. opening hours. Laufleistung: 32000 KM. Farbcode: Grün. Motorcode: 1KR-FE. Getriebeart: Schaltgetriebe 5-Gang. Laufleistung: 32 000. Pfau S85 Piaggio Porter Daihatsu Hijet. Anzahl der Türen. Farbe innen. Weiß gerollt. Laufleistung in km. Ersatzteilbezeichnung Drosselklappenstutzen. Baureihe Sirion 1.0. Motorcode 1KR-FE. Leistung (KW) 51. Bauzeitraum 01.2005-08.2007. Hubraum in ccm 998. Interne Referenz Nr. Motorcode EJVE. Ersatzteilbezeichnung Drosselklappenstutzen. Baureihe Cuore FUN. Bauzeitraum 02.1999-07.2001. Hubraum in ccm 989. Leistung (KW) 41. Aufbau Limousine. DAIHATSU MOVE (L6, L9) 0,8. Alle evtl. auf den Bildern zu sehende kompletten Fahrzeuge, sind warscheinlich schon zerlegt. Hinweise zu Gebrauchtteilen. Aus diesem Grund bezeichnet man sie auch mit dem Wort 'gebraucht' - also schon mal benutzt. Daihatsu Gran Move. Baujahr ab 05/1998. Erstzulassung 27.11.2009. Online E ja 26.01.2018. Aufbau PKW. Motor: 1.5 | 1495ccm | 76kW | 3SZ-VE. Drosselklappe für Daihatsu Materia. Fahrzeug: Daihatsu Materia. Weiters werden alle Teile mit 6 Monaten Gewährleistung verkauft. 09.00 bis 12.00 Uhr. Laufleistung in km: 130315.